Without doubt ALTAMAR represents an exciting opportunity to bring back to life one of the famous seven California 32s (46 foot on deck). Although a nominal asking price is sought, it would be reassuring to have ALTAMAR embraced by an enthusiast willing to have her as what she should really be - a true sailing boat , fast but forgiving and beautiful of line. 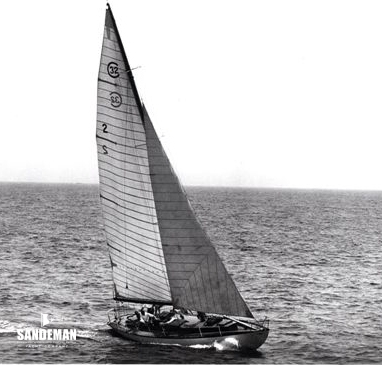 The title and subsequent sailing pictures are historic and do not portray the vessel’s current condition as a project. 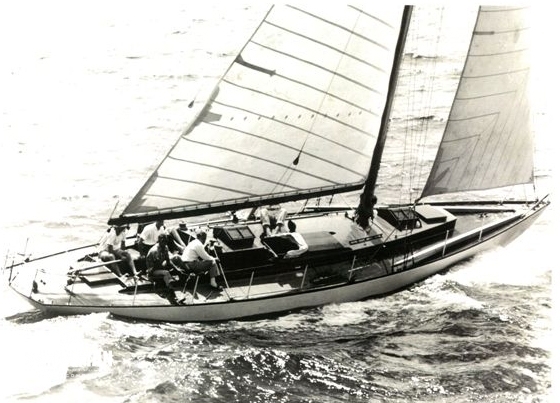 Built for Pacific Coast yachting, the California 32 has the reputation of being a formidable racer and a comfortable cruiser - designed by Nicholas S. Potter, AKA the "Herreshoff of the West", eventually eight of these sloops were built between the mid 1930s and the mid 60s. The Cal 32 was often a cover girl in the US West Coast yachting press. CHOLITA, ALTAMAR, TEMPEST, ESCAPADE and AMORITA were built before World War II. They were succeeded post war by ATORRANTE and ANDALE – then finally PEGASO in 1965. The early seven won 14 out of 16 “Sir Thomas Lipton Cups” from 1948 to 1964, and subsequently dominated most of the West Coast races. In recent years one of her sisters CHOLITA has proved the boat to beat in her class and the envy of many, while another; ANDALE was extensively re built in 1992 and has also competed successfully on the Mediterranean Circuit. 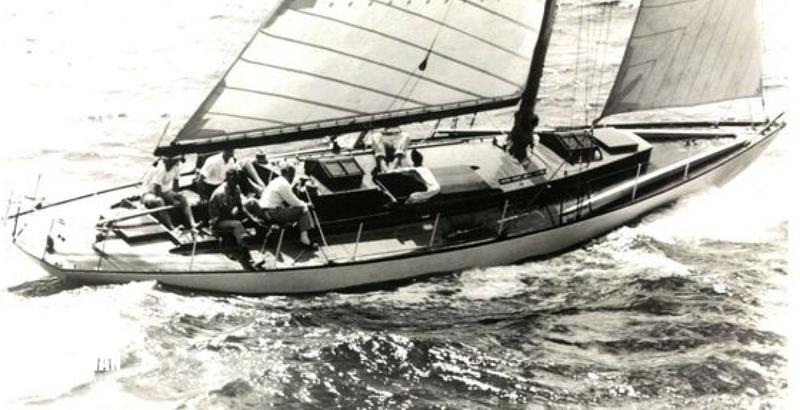 ALTAMAR was originally built for Donald Douglas of Douglas Aircraft in 1937, one of five yachtsmen originally at that time keen to develop such a “One Class” to prove their mettle in truly competitive racing. 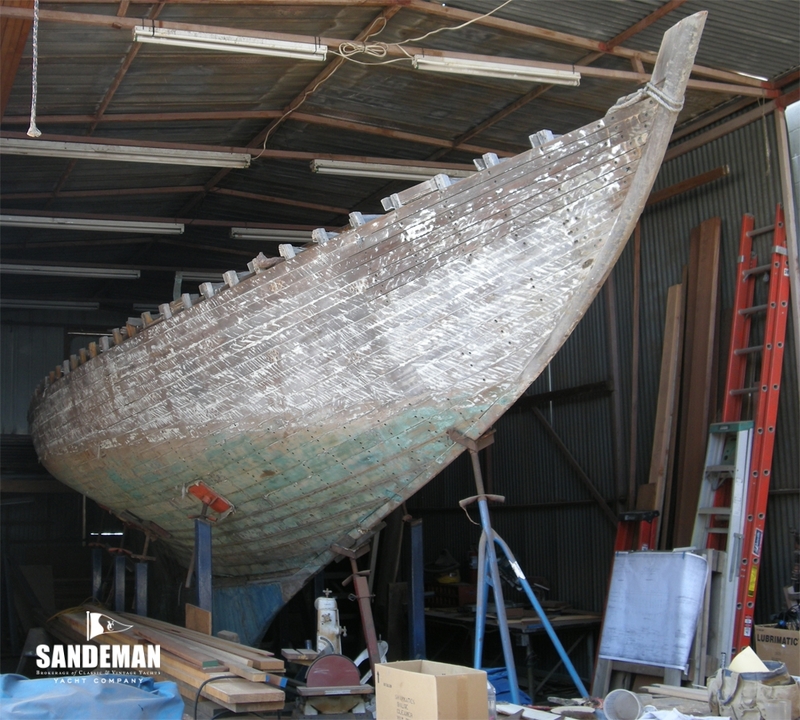 Having indeed raced successfully pre and post WWII, ALTAMAR was abandoned some 10 years ago and acquired more recently by Traditional Boat Works in San Diego, mindful of her provenance to prevent her break up, and stabilise her potential for restoration. 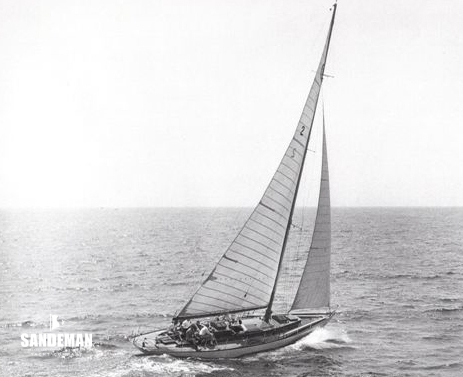 This yacht unquestionably needs a major rebuild and is presented here unashamedly as a project - but one which, given the quite recent experiences of two of her sisters, would reward the restorer with an iconic representative and potential leader of this classic historic pack. She currently has no interior and no hardware. Her deck has been taken off, leaving around half of her deck beams in situ. Her cabin house would need to be rebuilt or replaced. The teak backbone structure is reportedly in good shape and with around 75% of her Oregon pine planking she can definitely be saved. A ball park estimate of the costs of restoration is circa USD 750,000. Her current custodians seek an interested new owner to have her rebuilt. One; Doug Jones of Traditional Boat Works would offer their services for the work and invite you to see their website www.traditionalboatworks.net for some of their previous work. They have the resources, access to the plans, materials and ability to make the plans for the hardware. 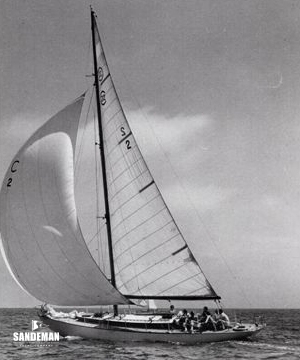 Doug Jones incidentally was lead shipwright on the Cal 32 ANDALE when she was still owned in San Diego by Doug Smith and he was the lead shipwright on the COTTON BLOSSOM II project when she was rebuilt before she went to Europe. We consider that ALTAMAR would be a very comfortable cruiser racer when rebuilt.